NECA was proud to be chosen to take part in the Queens Commonwealth Canopy project in which all 53 Commonwealth Nations took part. 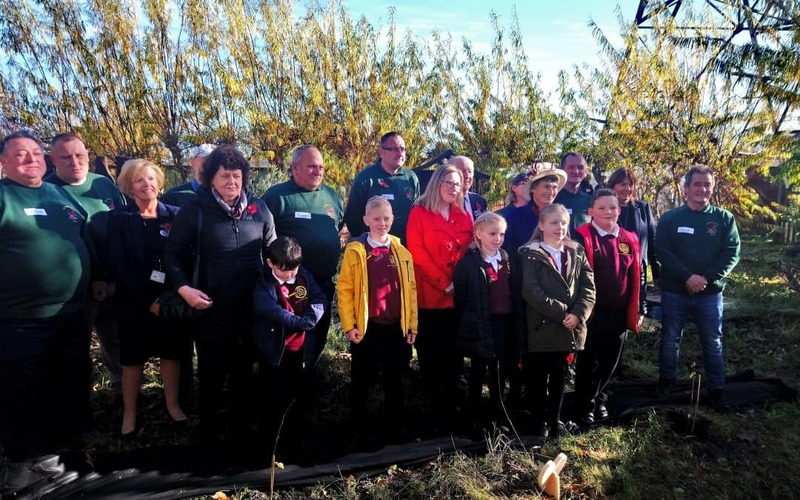 The Lord Lieutenant of Tyne & Wear, Mrs Susan Winfield, MP for South Shields; Emma Lewell-Buck, and school children from Holy Trinity C of E Academy with Head Teacher Mrs Tina Murphy joined NECA staff and volunteers to plant 2 Silver Birch trees in the NECA Community Garden. After the planting ceremony refreshments were served in the new learning room building and honoured guests were presented with a Willow Christmas Tree as a memento of the occasion.